It’s been a tough week. I think I’ve cried every day and not because I’ve watched too many Hallmark movies. It’s just been that tough. Emotionally and physically I’m drained. It’s easy to say I hope next week will be better. But what does hope really mean? Last year in October, I explored the idea of faith for 31 days. This year I want to do the same with hope. I think I have a light, fluffy view of the word hope. I desire to replace it with the essence of Romans 15:13: May the God of hope fill you with all grace and peace as you trust in Him, so that you may overflow with hope by the power of the Holy Spirit. I want my life to overflow with hope by the power of the Holy Spirit, so here’s to understanding hope a little more over the next 31 days! Day 1: What Do I Hope For? Day 5: What Will People Think? Day 6: What is Going On? Day 11: What if I Want to Die? Day 18: What’s Better Than Good Marketing? Day 19: What If I Don’t Want to Homeschool Again? Day 20: Why Is This So Hard? Day 21: Lord, Help Me Teach My Daughter! Day 26: When Will This Get Easier? I am accepting this challenge to write for 31 days in October. Topic? Faith. My faith seems a bit small these days. My hope, my prayer is that by writing about it every day, I will water that little seed and it will grow. I pray that as it grows it will also flower and serve as food and even shade for those around me. 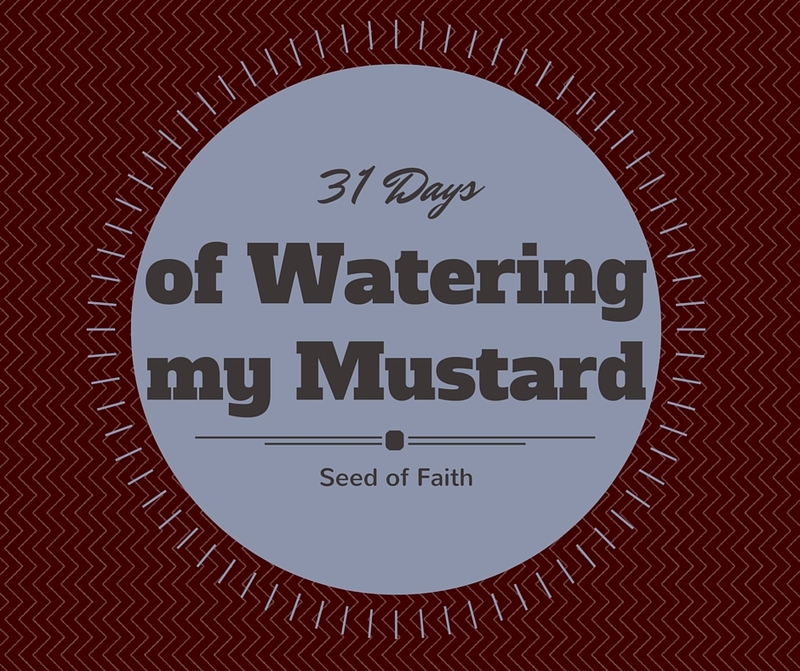 So I hope you’ll join me on this journey of faith, even if you feel yours is as small as a mustard seed.